Chitosan based micro particulate systems are used for the delivery of local anaesthetic drugs. Chitosan, which is abbreviated as (CS) is a polysaccharide. Chitosan is obtained from chitin, which is abundantly available in the skeleton of marine crustaceans. Chitin on deacetylation gives chitoson. Use of chitin is limited because it’s structure is similar to cellulose and it is chemically inert. Chitosan and cellulose are having similar structure i. e. both are made up of β (1-4) linked monosaccharide’s, but the difference is chitosan is having 2-amino-2-deoxy-β-D-glucan combined with glycoside linkages. 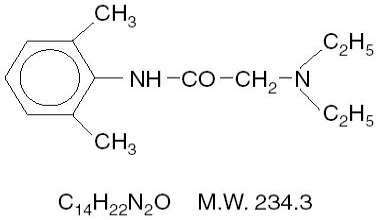 In chitosan structure the primary amine (- NH2 ) group is responsible for many pharmaceutical applications. Chitosan polysaccharide is having positive charge and it is mucoadhesive, this is the reason why chitosan is used in many drug delivery applications. The molecular weight of chitosan is 3800 – 20,000 Daltons. Chitosan is reactive in nature and it can be produced in various forms like powder, paste, film, fibre etc. Chitosan is insoluble in water due to its cationic nature in neutral or basic conditions, free amino acids. Solubility of chitosan can be increased by addition of acid i.e. protonation of free amino acids will occur. Chitosan does not cause allergic reactions and rejections hence it is considered as bio compatible in nature. Chitosan breaks into amino sugars which amino human body can absorb. Chitosan is non-toxic and it can be removed from the body without any side effects. Chitosan is having anti microbial property and it absorbs toxic metals like Mercury, Cadmium, Lead etc. Chitosan is used for developing micro or nano- particle. The properties that makes its use are, release of active ingredients in a controlled manner, during the formulation no need of using organic solvents because it is soluble in acidic aqueous medium, free amino groups are readily available for cross linking due to its cationic nature it allows ionic cross linking with multivalent anions, mucoadhesive character increases its residual time at the site of absorption. The complications involved after surgery are excessive pain, reduced mobility, delayed recovery, long stay in hospital. 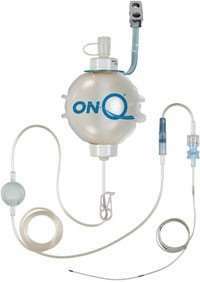 The only available system in clinical practice is ON- Q pain buster, which is post operative pain relief system. It provides continuous infusion of local anaesthetic directly into the patient surgical site for effective, non-narcotic post operative pain relief system for up to 5 days. There are two pump models are available one with a fixed flow rate that user cannot adjust and another with a fixed flow rate that user can adjust. It is the better pain relief system than narcotics. It eliminates narcotic related side effects. It ensures more comfortable recovery, faster recovery and it reduces the length of stay in hospital. Premature emptying of reservoir ball. In over doses drug toxicity will occur. To overcome these side effects chitosan based drug delivery systems are used. These particulate systems possess the properties like controlled drug delivery, so that no toxic effects will occur and these particulate systems are bio compatible in nature. Local anaesthetic is a drug which is used for local anaesthetic effect, that induces absence of pain sensation. Local anaesthetics having clinical importance are divided into two classes, they are, amino amide local anaesthetics which includes, Articaine, Bupivacaine, Cinchocaine, Levobupivacaine, Lidocaine, Mepivacaine, Prilocaine, Ropivacaine and Trimecaine. Amino ester local anaesthetic include, Benzocaine, Chlorprocaine, Cocaine, Cyclomethicaine, Dimethocaine, Piperocaine, Propoxycaine, Procaine, proparacaine, tetracaine. Among all the local anaesthetics Lidocaine is most commonly used because of its short half life, faster onset of action, less adverse effects and low systemic toxicity. Chloracetyl chloride to give intermediate product. Step 2 – intermediate product is treated with diethyl amine to give Lidocaine. Lidocaine decreases the rate of depolarization by inhibiting sodium specific ion channels. Action potential will not arise due to interruption of sodium ions influx and finally signal transmission will not occur. Insoluble, but it is soluble in its salt form. pH – local anaesthetic are weak bases. Onset of action – 45 to 90 seconds. Duration of action – 10 to 20 minutes. Half life (t1/2) – 90 to 120 minutes. Metabolism – In the liver 95 % of drug undergoes metabolism. In this method aqueous chitosan solution is added to oil phase which results in the formation of water in oil emulsion and suitable cross linking agent is added. By blowing chitosan droplets into alkali solution coacervate droplets are formed. In this method atomized chitosan droplets are dried in a stream of hot air and then suitable cross linking agent is added. In this method chitosan emulsion is added to NaoH emulsion. Up on high speed stirring chitosan droplets are formed. In this method chitosan solution is added to polyanionic solution. Up on stirring chitosan droplets are formed. In this method chitosan solution and cross linking agents are added to reverse micelle. By overnight stirring nanoparticles are formed. In this method, cross linking agent is added to chitosan gel. Up on sieving micro particles are formed. "Chitosan Based Microparticulate Systems." UKEssays.com. 11 2018. All Answers Ltd. 04 2019 <https://www.ukessays.com/essays/health/chitosan-based-microparticulate-2455.php?vref=1>. "Chitosan Based Microparticulate Systems." All Answers Ltd. ukessays.com, November 2018. Web. 26 April 2019. <https://www.ukessays.com/essays/health/chitosan-based-microparticulate-2455.php?vref=1>. UKEssays. November 2018. Chitosan Based Microparticulate Systems. [online]. Available from: https://www.ukessays.com/essays/health/chitosan-based-microparticulate-2455.php?vref=1 [Accessed 26 April 2019]. UKEssays. Chitosan Based Microparticulate Systems [Internet]. November 2018. [Accessed 26 April 2019]; Available from: https://www.ukessays.com/essays/health/chitosan-based-microparticulate-2455.php?vref=1.